A unique celebration of life that occurs when you combine the functionality of a barbershop with the delicious grub of a barbecue. BarberQue strives to provide resources of opportunity to those facing homelessness by bringing community members together and working collectively to spread joy, understanding, and support. Keep up-to-date with the latest. Questions, comments, concerns? Get in touch. We do cool things... but only with your help. We can show you how. Every day, you pass the same people on the streets. The guy on the corner on your way to work. The person asking for change outside of your grocery store. The person asleep on the El. You know them, and they know you. You want to help. But handing out change seems so small - so insignificant. And there is always that doubt that it will be used for something... bad. 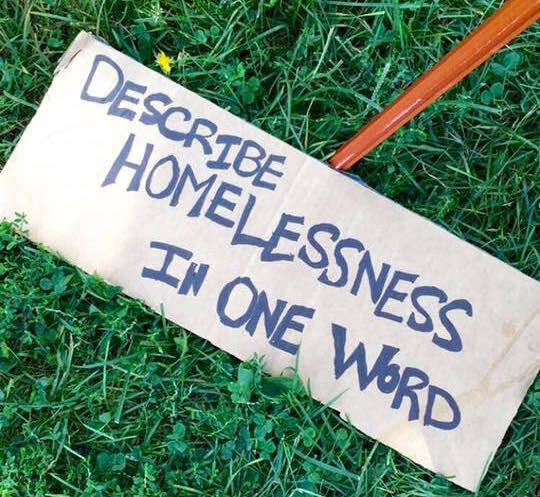 Stereotypes about homelessness and drugs or alcohol sit in the back of your mind. We believe that everyone, regardless of their living situation, deserves to live in a dignified way. Because of that, we are spreading awareness and creating a community of support around the issue of homelessness in Chicago, providing opportunities for story-sharing, and helping people find ways to help themselves. "One man told me that he lost his job, lost his wife, and lost his apartment. He applied for unemployment the first time he was denied. He told me he just recently got approved and is hoping to get his life back together. It surprised me how even though he had been through so much he had such a positive attitude. He believed that God doesn't put you through something if he doesn't think you can handle it." "I realized that all of the homeless people were really considerate of each other - at least the ones that came there. Some people wouldn't take a food bag because they decided there were other people who needed it more than them." "These people don't choose to be where they are. Things happen and life takes over and most of the situations I heard were actually of them trying to get back on track." "I thought of homeless people were extremely different from me, but they are very similar in the way that most of them lived a normal life before they became homeless." Founded in 2016, BarberQue aims to provide resources of community to those facing homelessness by bringing community members together and working collectively to spread joy, understanding, and support.